Phil Newmark, a developmental biologist studying the mysteries of how the body regenerates damaged tissue, will join the Morgridge Institute for Research and the University of Wisconsin–Madison Department of Zoology in fall 2016. 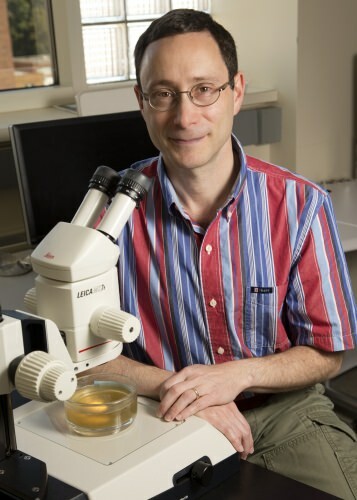 Newmark, currently a professor at the University of Illinois at Urbana-Champaign, studies a freshwater flatworm called a planarian, a remarkable creature capable of regenerating its entire body from scratch. The model organism offers a way to better understand stem cell-driven regeneration processes, an important step in regenerative medicine and the promise of therapies to repair or replace damaged human tissue. Newmark also is an investigator with the Howard Hughes Medical Institute (HHMI), a group of about 300 U.S. scientists who are pushing the boundaries of biomedical research. 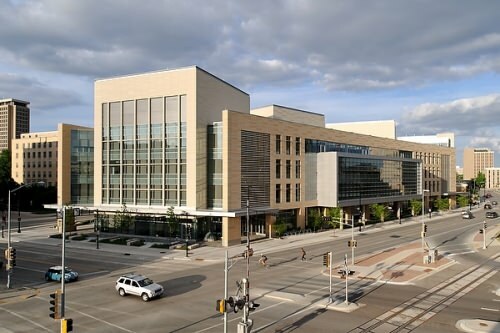 Newmark’s hiring will bring to five the number of HHMI investigators at UW–Madison. When Newmark began studying planarians in the mid-1990s, only a handful of labs around the world still used them. But Newmark’s curiosity led him to a fellowship with a planarian research group at the University of Barcelona in Spain. After that experience, Newmark was hooked. He brought a thermos full of the creatures, collected from a fountain pool in the city, back to the states to form his own colony. Planarians are an ideal model for determining why some organisms are capable of regenerating lost body parts, Newmark says, because of both their simplicity and the rapid rate at which they regenerate. This ability is driven by a population of stem cells that is maintained throughout their lives. Beyond fundamental questions, Newmark’s work has immediate implications for a tropical disease called schistosomiasis, which is second only to malaria in scope and kills more than 200,000 people per year. It turns out the parasitic worms that cause this disease share a lot of biology with planarians, and Newmark’s lab has identified many new avenues for fighting the parasite. After observing important similarities between planarians and their disease-causing cousins, Newmark and former postdoctoral fellow Jim Collins (now a professor at UT Southwestern) took the radical step of applying their knowledge of planarians to studying schistosome biology. Newmark had a thorough introduction to Morgridge and UW–Madison as a member of the Morgridge Scientific Advisory Board from 2013 to 2015. Several Morgridge research areas, especially the regenerative biology team led by stem cell pioneer James Thomson, have strong parallels to Newmark’s work. Newmark will be part of the regenerative biology team. Newmark says he is looking forward to the dual-appointment nature of his role in Madison. He intends to bring a team of about 10 researchers to campus. Other UW–Madison HHMI investigators include Paul Ahlquist, plant pathology and Morgridge investigator; Sean Carroll, genetics; Edwin Chapman, neuroscience; and Judith Kimble, biochemistry.